Cats are great companions. They are a constant source of inspiration and entertainment, and a joy to live with. Cats donÍt start fights, they donÍt yell at you and they donÍt stop talking to you for no reason. They donÍt take up too much room on the bed (unless you have more than a dozen). And they never, never tell you that youÍre gaining weight and better watch what you eat (they expect you to return the favor on this one). There are the issues of hairballs and mouse parts„but those weÍll set aside. 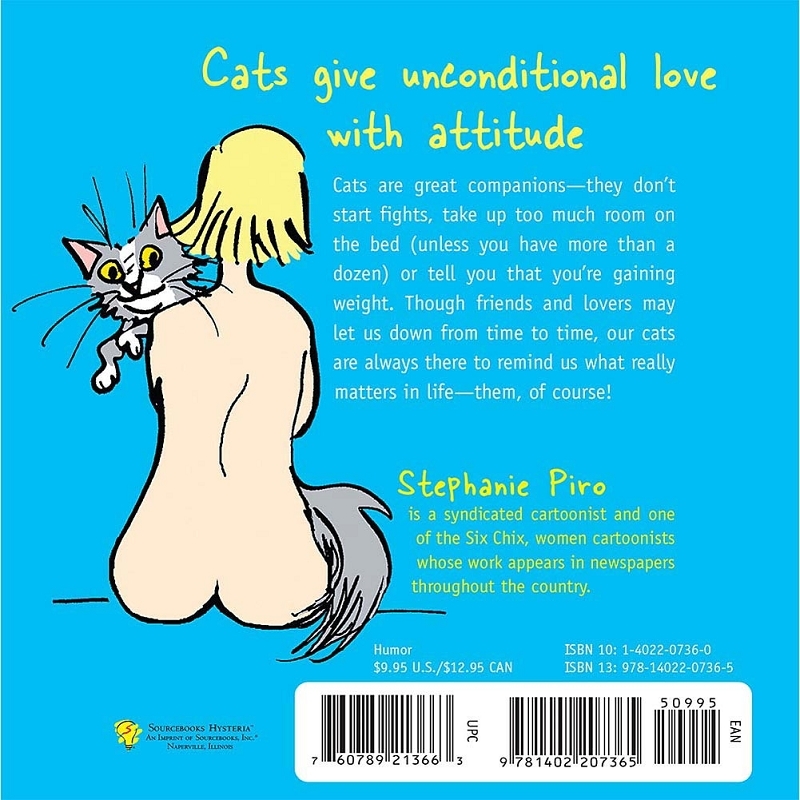 With all of that in mind, cartoonist and illustrator Stephanie Piro offers My Cat Loves Me Naked, a charming gift book for cat lovers of every stripe.